There’s honestly nothing I love more about winter than long, hot lush baths – don’t they just make everything better? After my local Lush Halloween & Christmas preview, I was inundated with bath products that I wanted to pick up, I try to buy the whole collection of the seasonal ranges as I just love trying them all out, and this years collection has 100% outdone last years. 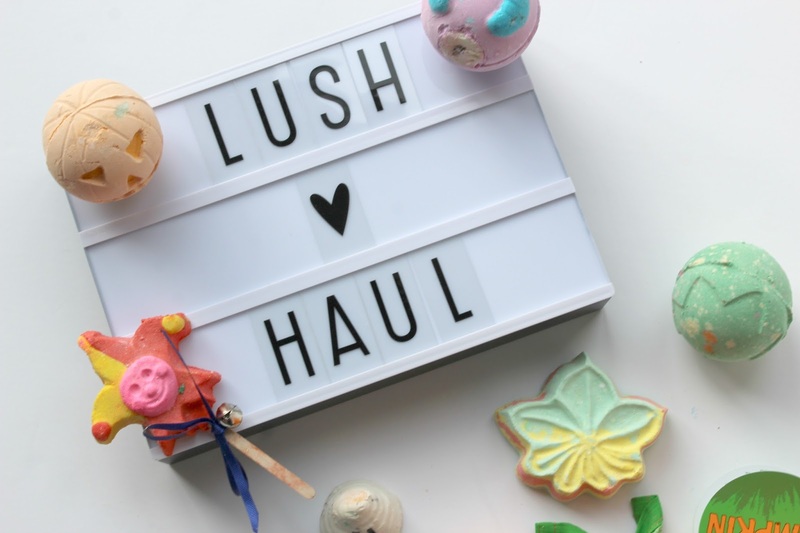 I was also lucky enough to get the big Pumpkin gift for my Birthday, so I have plenty of bath bombs, bath melts and shower gels to get stuck into. 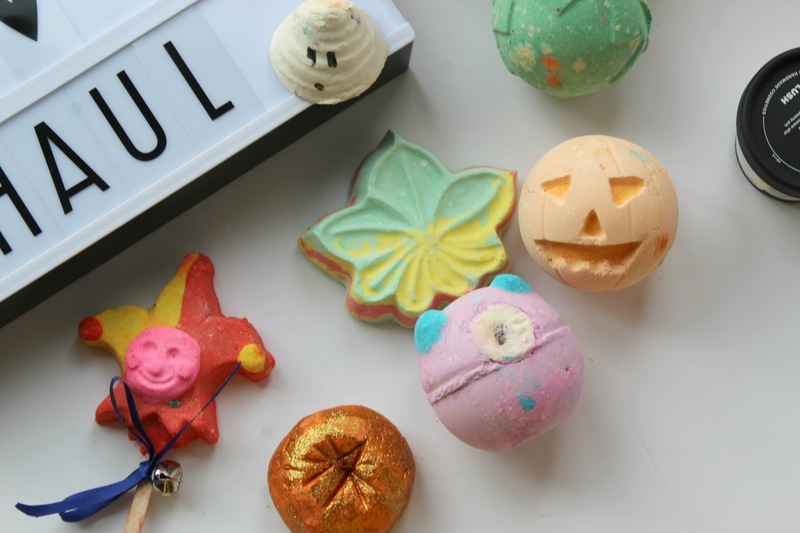 You’ll be in for a bewitching bath time treat with this little collection, but the question is, will I be able to use them all up before Halloween? Okay, so this little cutie is part of the Christmas range, but I couldn’t wait to show you this little guy! 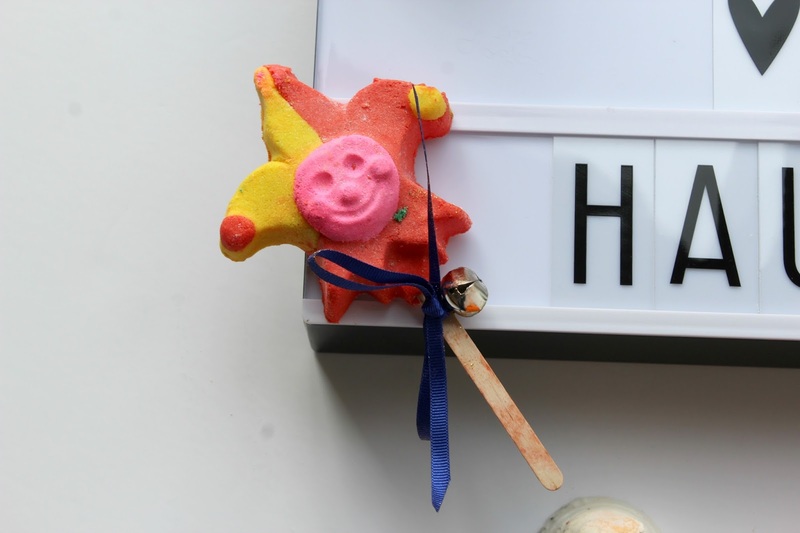 Jester bubble bar wand comes with a dinky little bell and ribbon, with just the cutest little face. I love bubble bars as they’re so long lasting, I can usually get 5 baths out of them at a push. 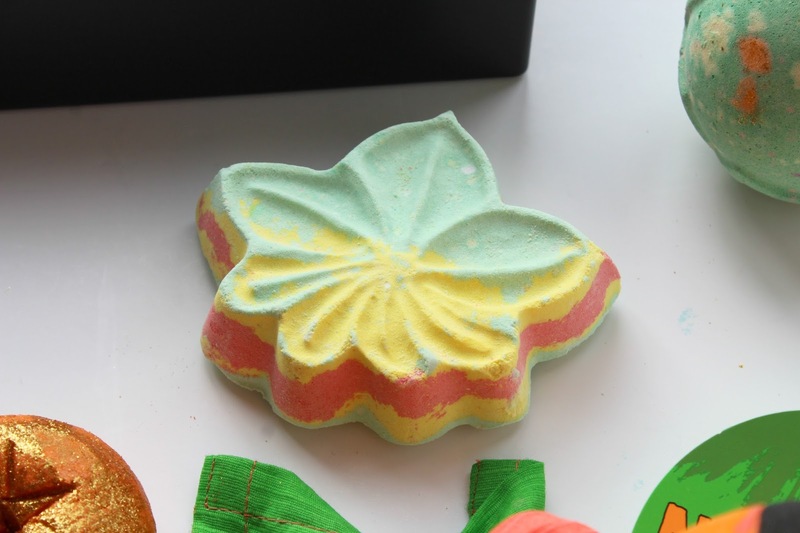 Swish it around the bath for plenty of bubbles and lots of colour, this one smells like zesty tangerines, yum! If you’re #TeamTwilight you are going to LOVE their new additions to the twilight range. I have been hankering after twilight shower gel since the first limited edition ones came out almost 4 years ago. To be reunited with the body lotion that is scented like twilight is heavenly. It is the most mousturising and gorgeous smelling body lotion I have ever used, unfortunately this is also going to be a limited edition item so I’m going to have to stock up on this one before it goes. It’s the perfect post bathtime skin treat, before slipping on my fav cactus pjs! I always love the seasonal shower gels they release, Rose Jam was one of my favourites from a couple of years ago which is also back this year! 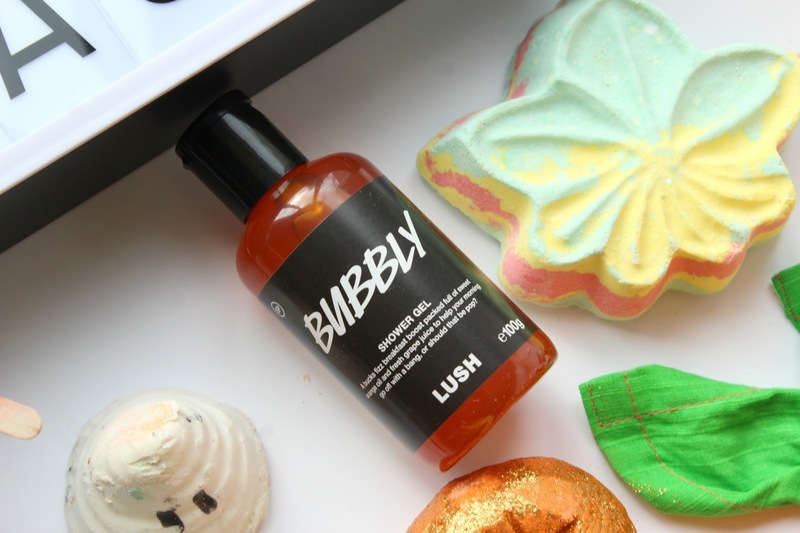 Bubbly shower gel certainly packs a punch, it’s super fruity, zesty and scented with sweet orange oil and fresh grape juice! I rarely pick up soaps from Lush as I’m very much an anti-bac soap girl, I definitely have a minor OCD when it comes to washing hands, especially when I’m trying to avoid colds in the office… But I got given these little samples of Santas Postbox and Shooting Stars soap at the blogger event. Their soaps do smell sooo amazing though and I’m already giving Shooting Stars a try! I’m currently keeping Santa’s postbox in my drawer and it is smelling amazing, I can’t wait to get it out for the run up to Christmas, eek! Sparkly Pumpkin is back for another year and it will always remain as my bubble bar of choice for the actual day of Halloween. It’s super glittery and it produces a carrot coloured, bubbly bath. 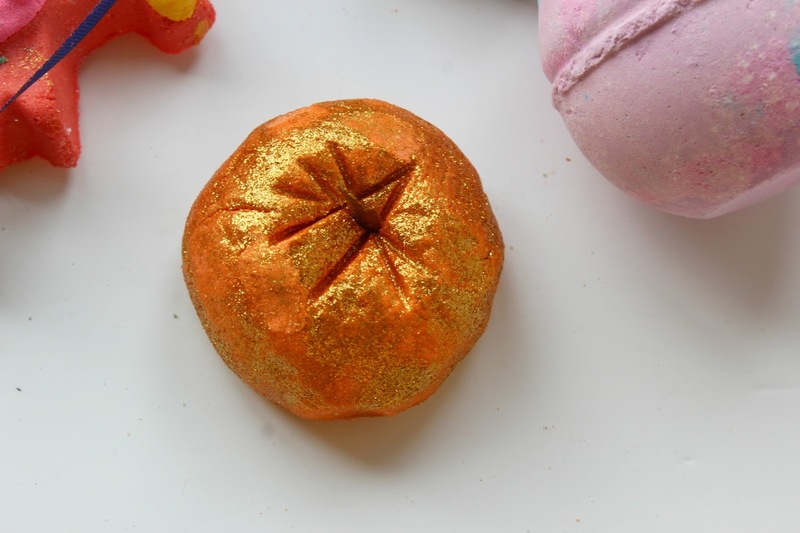 But if glitter isn’t for you, they’ve also released a plain pumpkin bath bomb this year! Oh, Boo! You were wrong if you didn’t think their selection could get any cuter! 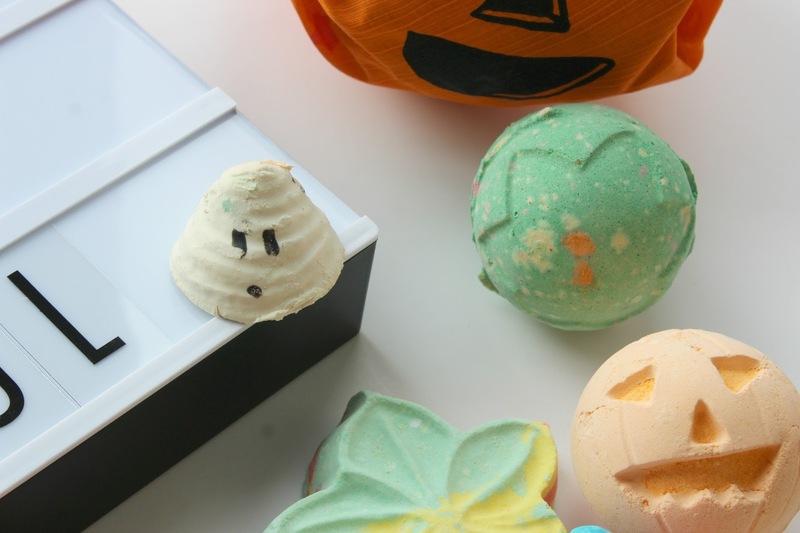 Boo is the cuest mini bubble bar around, this ghoulish guy is scented with mimosa, and earthy warming ginger. As it melts into the bath it leaves behind a ghoulish, noursishing cocoa butter trail. Lord of misrule is back with a vengeance this year after being slightly redesigned, I love the colours this one fizzes out when it’s popped into the bath. It features a spicy herbal blend of patchouli and black pepper oil for a fragrant bath. This years version also contains popping candy in the middle, what’s not to love? 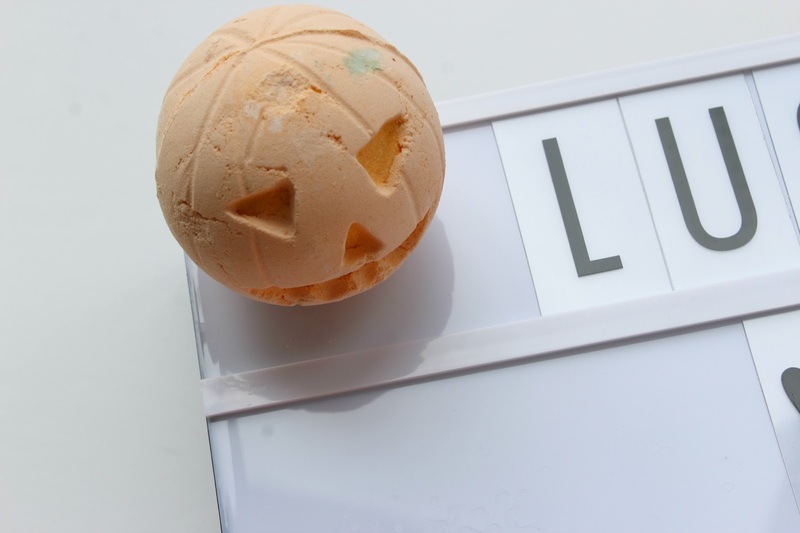 For those who just want a good old classic for Halloween, this pumpkin bath bomb will do just the trick. Besides from being super cute, it is scented with a comforting vanilla absolute and spicy cinnamon scent, I can’t wait to have a soak with this one on a cold, rainy night! The thing I love most about Autumn is all the beautiful colours we see from the falling leaves, and Autumn Leaf bath bomb beautifully captures this. As it slowly fizzes away like a cartwheel it continues to release more autumnal colours, it’s probably one of the most colourful from the Halloween collection. It’s a real winter warmer! 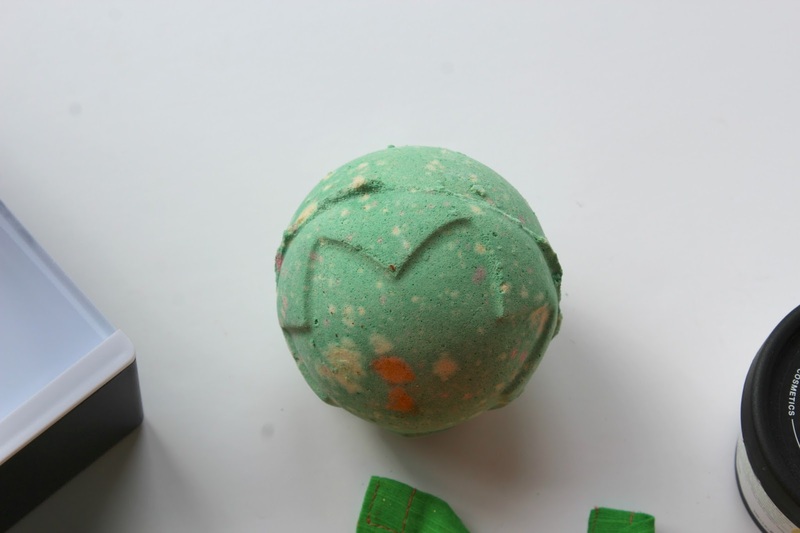 Monsters Ball bath bomb is a new addition to the Halloween collection this year and he is just perfect!! He reminds me of Monsters Inc with the colouring and cyclops eye! 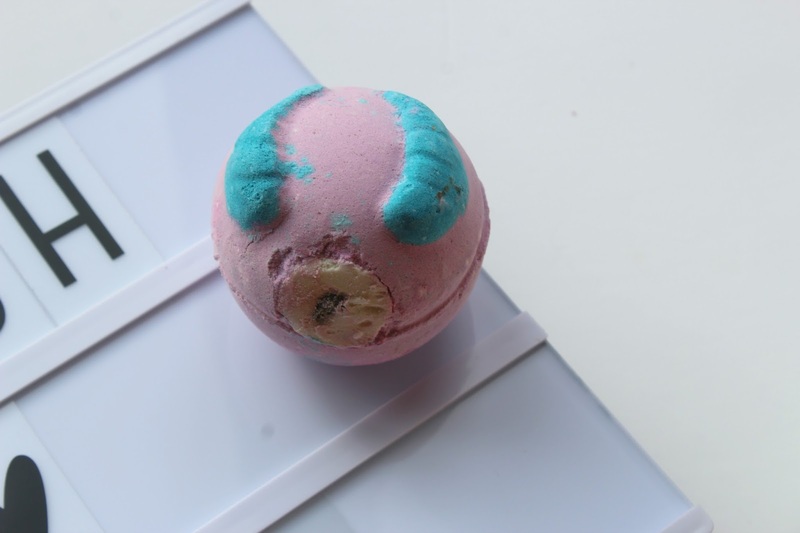 I used this one at the weekend, and loved the beautiful mix of colours that fizzed away, even once the bath bomb has fizzed you won’t miss the little eye that peeks through the bubbles! The Halloween products are hauntingly good, and I’m so ready to embrace the cold, dark winter nights now. 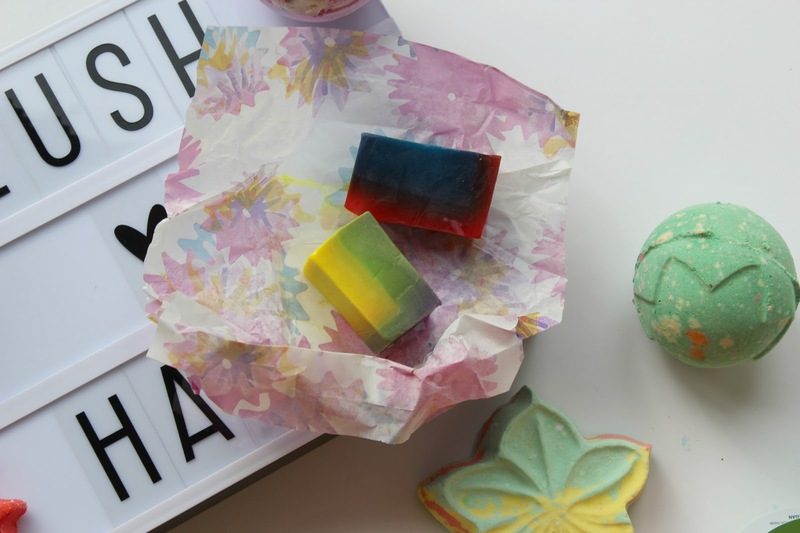 Nothing seems too bad when you have a colourful, fragrant bath bomb to indulge in after a day at work. I’m not going out in fancy dress for Halloween this year, but you’ll find me having a bath or two with one of these guys over the weekend! 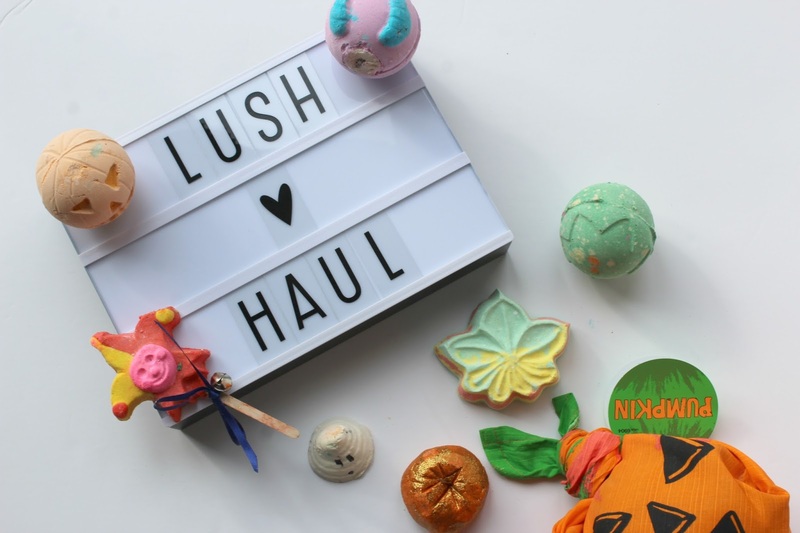 Have you picked up anything from the Lush halloween collection? What are your plans for Halloween?